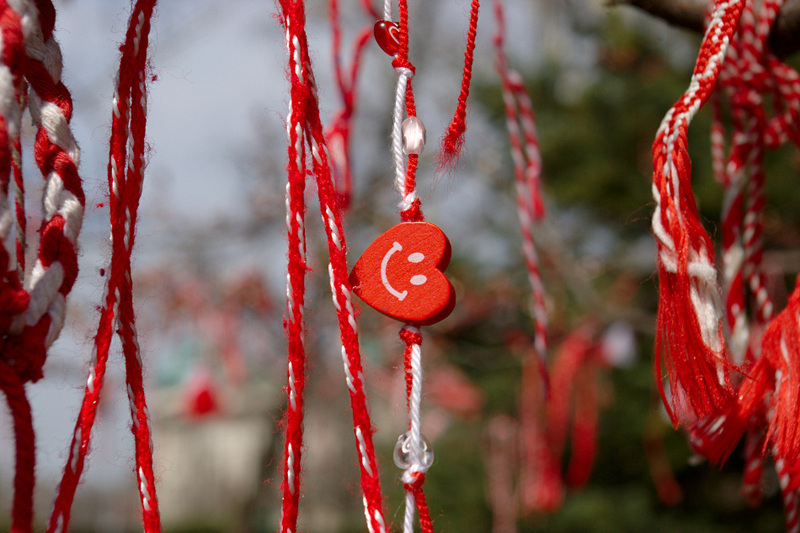 When March comes to it's end, the parks in Bulgaria start to shine in the red and white of the martenitsas. It's an old custom and there are different legends of it's origin, so any verbalists out there please take your time in Wikipedia first. http://en.wikipedia.org/wiki/Martenitsa Anyway, it's wonderful and I totally adore those trees with martenitsas. When March comes to it's end, the parks in Bulgaria start to shine in the red and white of the martenitsas. It's an old custom and there are different legends of it's origin, so any verbalists out there please take your time in Wikipedia first. Anyway, it's wonderful and I totally adore those trees with martenitsas.